Thank you for your interest in Ridgeland, one of America’s 100 Best Places to Live*. Ridgeland is a thriving city of over 24,000 people, located immediately to the north of Jackson, the capital of Mississippi. Ridgeland attracts new businesses and new residents because of its vibrant businesses, progressive leadership, excellent schools and welcoming neighborhoods. With a warm climate and plentiful sunshine nearly year-round, community events, vibrant entertainment and festival fun are part of the Ridgeland experience. Ridgeland is recognized in the South for its fine shopping and delicious dining. An enthusiasm for art and culture is evident throughout Ridgeland. Fitness and sports are part of the lifestyle of Ridgeland. 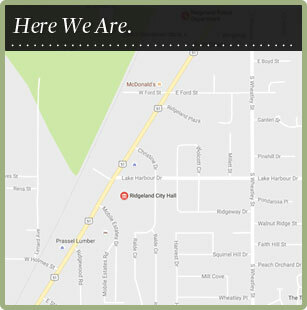 Ridgeland residents enjoy a small-town package coupled with big-city amenities and energetic city government. Some of our more notable achievements include: Bicycle Friendly Community, Tree City USA, multiple-awards for our city parks and an award-winning Master Plan. Plans for the near future include a new City Center, expansion of our multiuse trail system, road construction projects that affect regional travel and other significant plans and projects that will enhance the sense of community and the quality of life in Ridgeland. I personally invite you to become a part of Ridgeland and its exciting future for you, your family and your business.